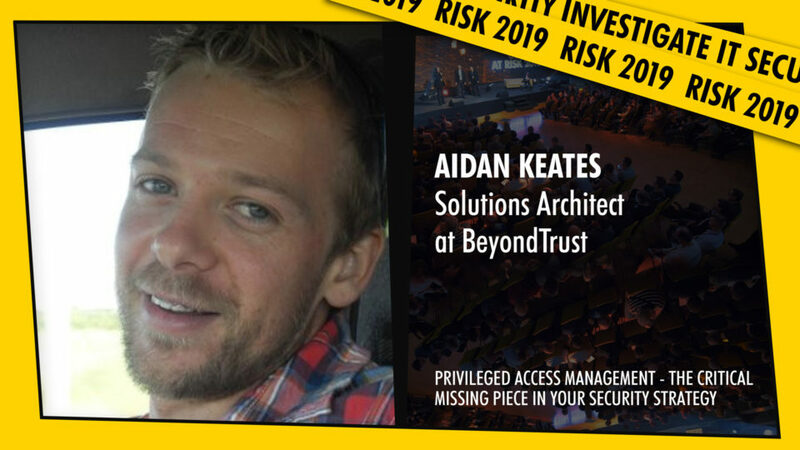 At RISK 2019, BeyondTrust’s Solutions Architect Aidan Keates will present on the main stage on the topic of “Privileged Access Management (PAM): The critical missing piece in your security strategy” on the opening day of the event at 14:30 CET, as well as host a demo session in the Red Workshop Room at 11:30 CET, titled “Password Safe – Manage and monitor privileged accounts”. In short, the topics discussed at the presentation will include the risk factors at play, what are privileged access management solutions, why they are important and why a company should choose BeyondTrust to secure their operations. South African born, Zimbabwean raised with 18 years of experience across 3 continents. Started my career in disaster recovery and business continuity industry for the financial sector before switching to support function of security patching and end point security. The last 8 years have been spent mastering the strategy, design and security of a broad scope of IT infrastructure services with the focus on system, network and data security. A wealth of experience in customer pre and post sales engagement from technical to C-level executives as well as working with and leading cross-functional groups of people with diverse IT backgrounds.